1.Hanuman Tok is a highly revered and holy temple dedicated to Lord Hanuman in Sikkim. Tok means a temple, so it's a temple of Lord Hanuman. 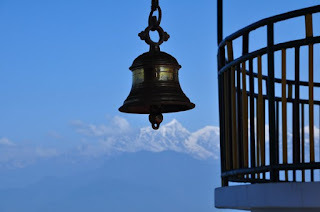 But it's actually far more than that and known for its wonderful serene ambience and a viewing area that offers spectacular view of Kanchenjunga range. 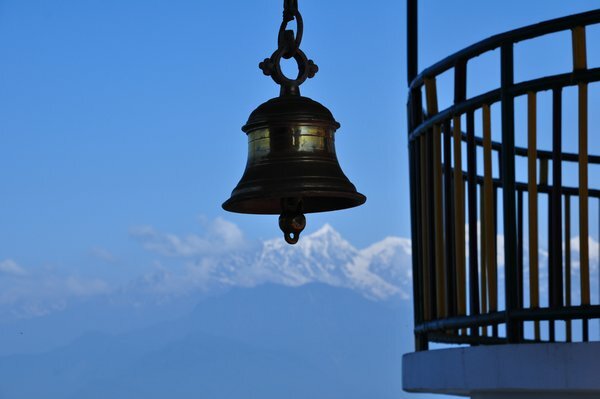 The point in the whole of Gangtok area offers the best views of Kanchenjunga, It's Hanuman Tok. It's located at an altitude of 7,200 ft and on a road that branches off from the Gantok-Nathula Highway. 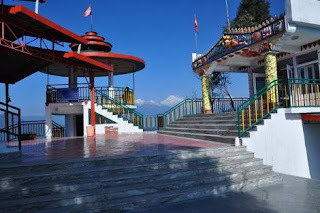 It's located at a distance of 11kms from Gangtok town. 2. As per local tales that Lord Hanuman took rest for a moment at this place when he was on his way to Lanka from the Himalayas. He was carrying sanjeevani herbs to cure Lakshman. The temple is popularly known as wish fulfilling temple. As the legend says, locals used to worship a stone here for centuries. 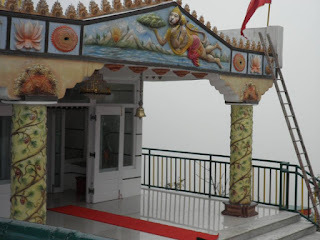 In 1950s a political officer named Appaji Pant had a divine dream at this place and after that the idol of Lord Hanuman had been erected here. Since then the temple is locally known as the Hanuma Tok. 3.The temple is located within boundaries of defence land. Since 1968 when the land was formally handed over the army the temple is maintained, developed and preserved by units of the 17 mountain division.Nearby and just before the entrance to the stairway is the cremation ground of erstwhile Namgyal Royal family of Sikkiim. You can see several stupas and chortens there. ITS A HEAVEN ON EARTH. ONE GETS A VERY SPIRITUAL FEELING. HAD BEEN ONCE...NOW THAT I GO AM NOT GOING TO COME BACK. U FEEL THE DIVINE PRESENCE THERE...WHAT ELSE ONE WANTS. ?